Bring out those snack cucumbers! Cucumber ranks among the most popular vegetables in the Netherlands. 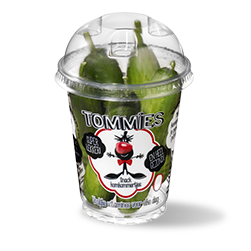 Tommies cucumbers are a wonderful snack because of their refreshing crispness. Something many people don’t realise is that the skin of a cucumber also contains fibre. Because of this, and the low number of calories, we expect that this green vegetable will become even more popular in the future. 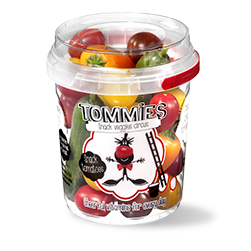 Tommies cucumbers are packed per three in a convenient bag that you can take along with you to enjoy them on the train, at school, at work or on the beach. 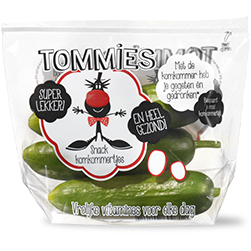 The snack cucumbers are also ready to eat and hygienically packed. Small but delicious: that’s certainly true of snack cucumbers. 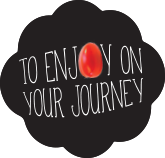 Did you know that most of the healthy nutrients provided by cucumbers are contained in their skin? 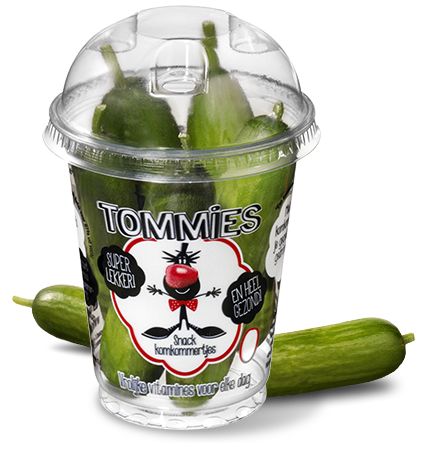 And as you can eat the Tommies cucumbers with their skin and all, you consume extra amounts of those nutrients. 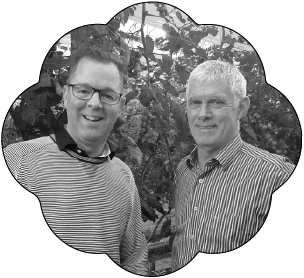 Cucumber skin contains for example vitamin K, which plays an important part in coagulation of blood. The snack cucumbers also contain a lot of moisture, making them an ideal juicy snack for after a workout. A great way of recharging your battery without gaining the calories you’ve just burnt. Because with only 13 calories per 100 grams, cucumbers provide virtually no energy.